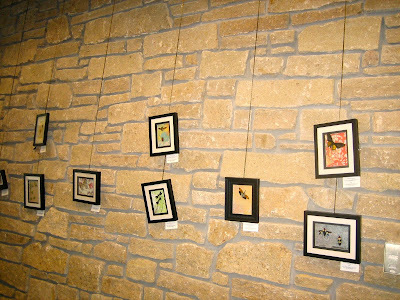 I have finally finished installing my show at the Lawrence Public Library! 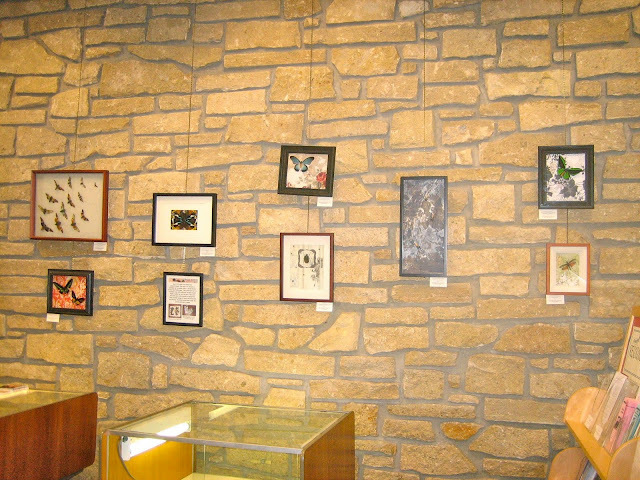 All of my framed pieces are there (and I do mean all of them!) throughout the month of August. 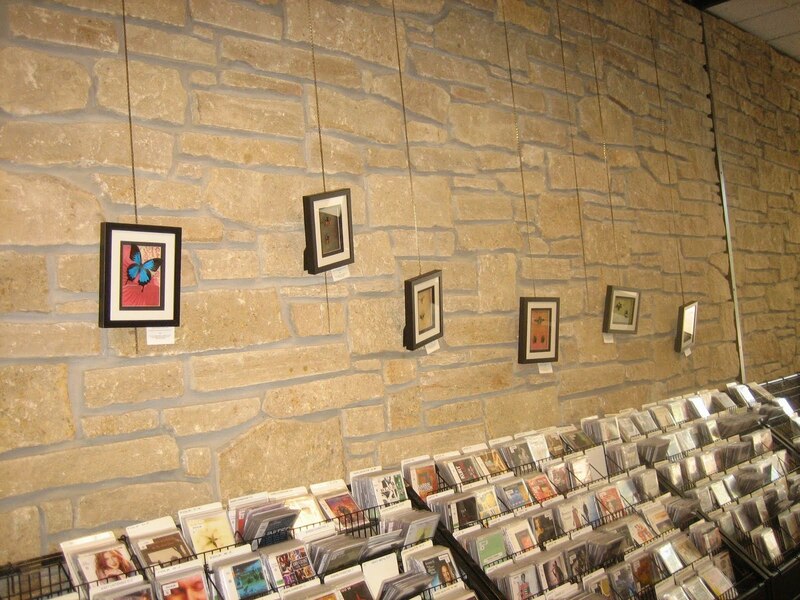 They are spread out among three walls; they are hanging in both entryways and in the "media room" above the CDs. 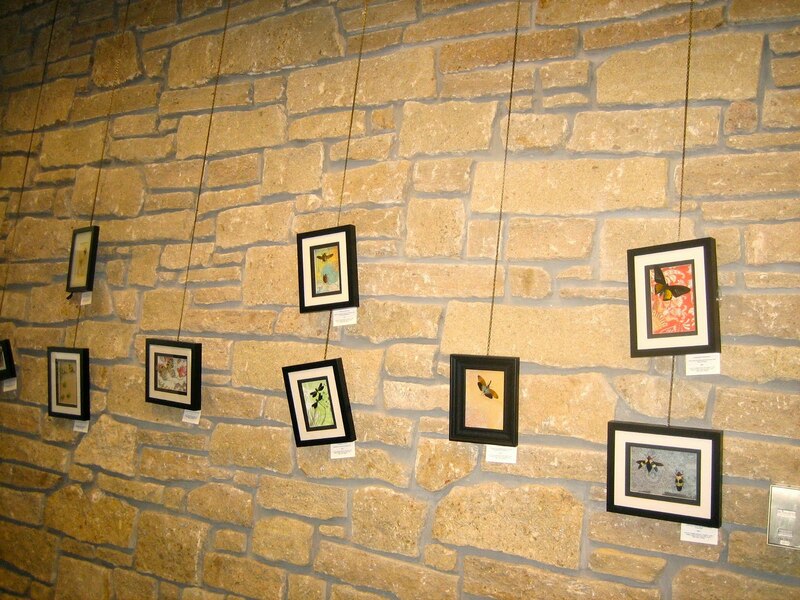 To make my show more educational, each piece has a title card that tells what insect species is being used and its country of origin. The title cards also have a price and my contact information, if you go there and see something you'd like to buy! 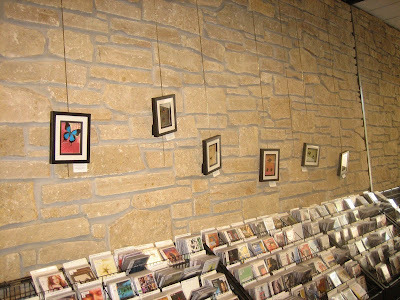 Hope you can check it out if you're in the Lawrence, KS area! It'd be a fun, free, and educational outing for you and/or your kids!